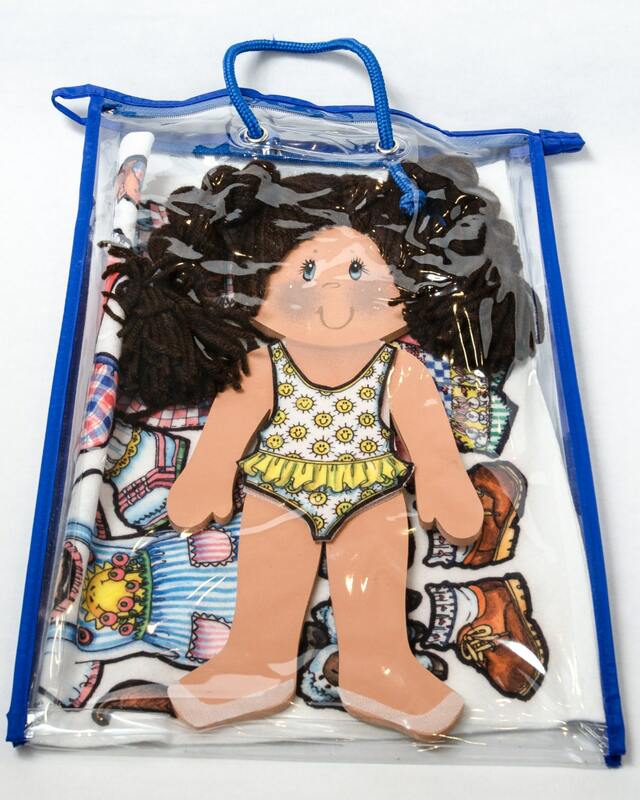 Introducing Libbie she is a 14" wood dress up doll and comes with a set of clothes that allow your kids to easily dress their own doll. She also comes with her own carrying case. Libbie is an adorable handmade wood doll with dark brown hair made of yarn. 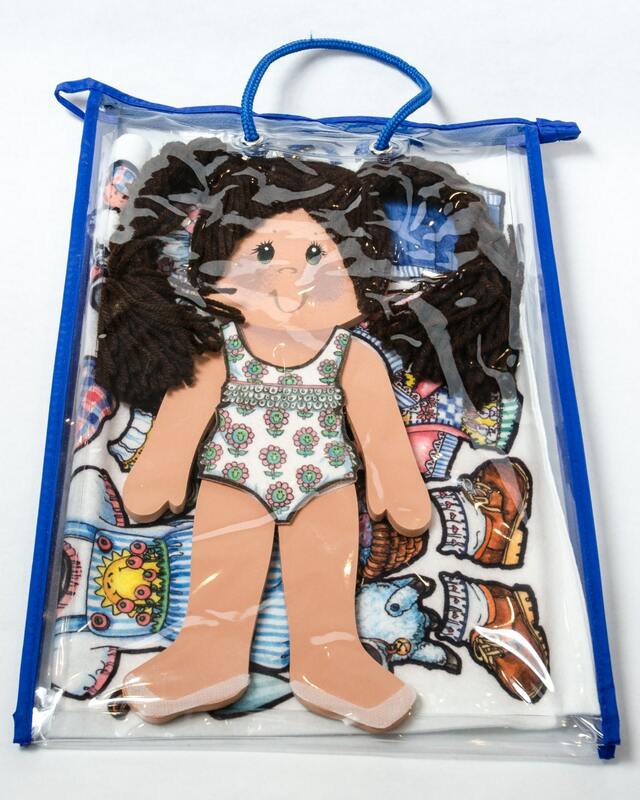 She has velcro to make dressing up your doll easy. 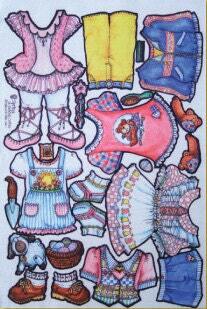 Libbie comes with a complete set of 7 outfits.